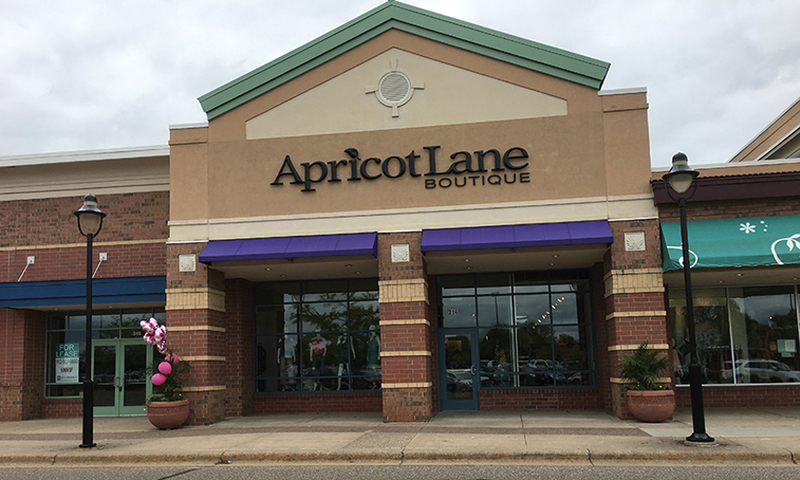 Welcome to Apricot Lane, a one-of-a-kind women’s clothing boutique in Blaine, MN at the Village of Blaine! We have everything you need to make your dream style a reality. 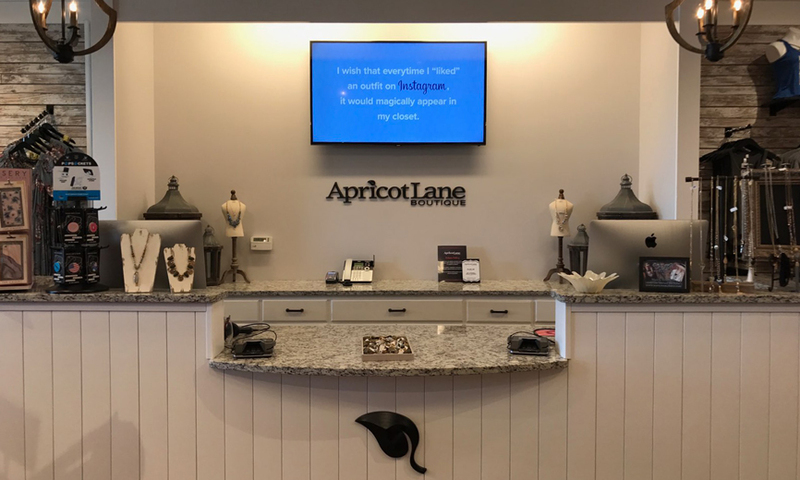 Here at Apricot Lane, we aim to be your favorite place for all things fashion. We have clothes, shoes, and accessories for every woman with virtually any style. People love our clothing selection, and we make sure our brands represent our customers and the in-styles of the area. 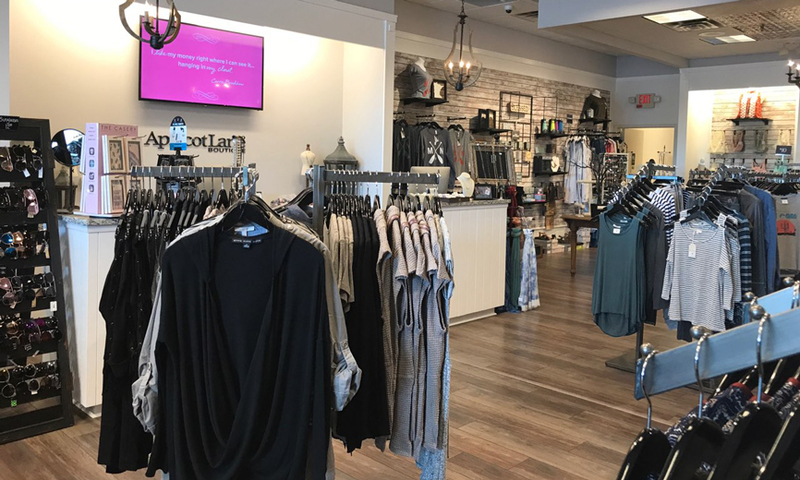 Apricot Lane Boutique is a locally-owned clothing store in Blaine, part of a larger network of franchises nationwide. We create a fun and unique shopping experience for customers and set ourselves apart from other boutiques by selling clothes and fashion pieces that capture the vibe of the local area. No matter what your personal style is, you’re sure to find what you need to compliment your style. As a locally-owned fashion store, we strive to provide customers with the best shopping experience. We make sure our selection of fashion and gift items feature exactly what you are looking for. We take pride in our diverse selection of trendy clothing and accessories. Each Apricot Lane shop owner curates the collection for their boutique based on what customers want. We offer a variety of tops, bottoms, dresses, and accessories perfect for different occasions and styles. With such a wide variety of different brands and items to choose from, it can be hard to find exactly what you are looking for. Fortunately, we have a team of fashion stylists in the store to help you find what you want for the look you want. Style isn’t just about following the trends; it’s all about you, too. We encourage expression through fashion, and we think you can do that here. 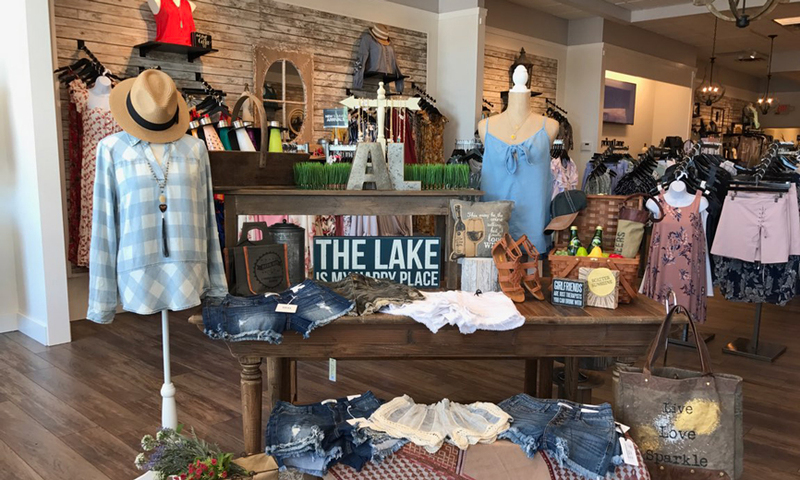 Our women’s clothing boutique items in Blaine are selected from the best of the best clothes, shoes, and accessories brands around. We listen to what you want and browse through various collections to pick out items that you’ll love. Let Apricot Lane Boutique be your go-to fashion destination. You can build a wardrobe representative of your style through our curated collection and helpful staff. Find items that reflect your sense of style by shopping with us today!